There are several things you want in a plumbing company. When you have a plumbing problem, you want somebody who knows what they're doing, and you want them fast. You also want someone you can rely on. You want someone who has built his business on integrity and reliance. You also want someone with the largest selection of parts in the area. You'll find all of these important elements at Rath Plumbing Company. With a wide variety of products and services, Rath Plumbing Company provides a vital service to the community. If you have plumbing questions, we have the answers. A.J. Rath has been serving the community since 1968. His reputation is one of honesty and fairness. You don't stay in business for that many years without those attributes. 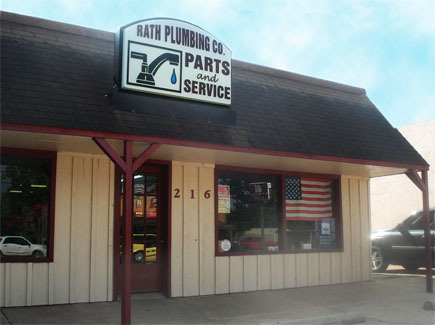 At Rath Plumbing, quality & customer satisfaction are our top priorities.